1. Since I am such a crazy runner, I signed up for the Glass Slipper Challenge, February 22-23, 2014. It is not as goofy as the Goofy Challenge. This one is a 10K on Saturday followed by a half marathon on Sunday. Yikes! But it should be fun too! It looks like next year I will complete all of the RunDisney races except TinkerBell Half Marathon because that is the weekend after the Goofy Challenge. Or is it possible to be even more crazy and do both? 2. I am finally on summer break and one of my projects is to organize my medals. 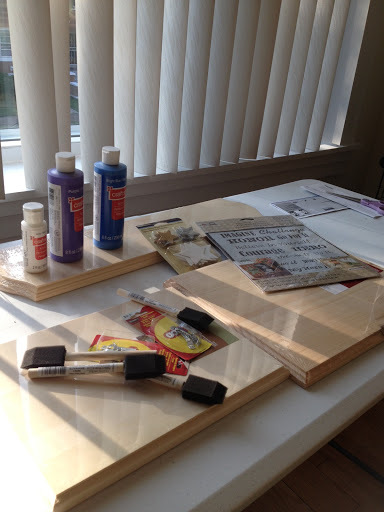 Somehow I ended up on PavementRunner‘s blog and he has a post on a DIY medal and bib holder. I am going to try to make something similar so I went to Michael’s and bought a few supplies. My nephew went with me and is going to help me out. It will give him something to do since he is out on summer break too. I’ll let you know how it turns out. Yesterday I got another medal from Rock ‘n’ Roll. 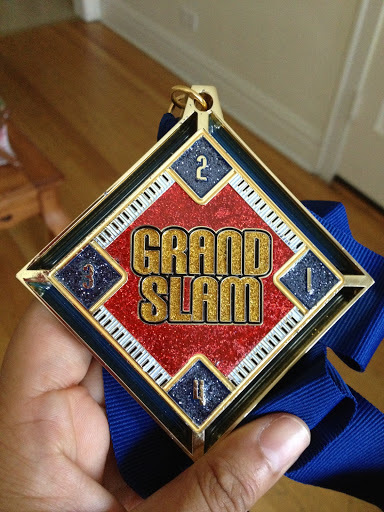 I need a medal holder just for these medals. 3. I received my first StrideBox! Love what it says on the outside box! I am so excited to try all of these products. 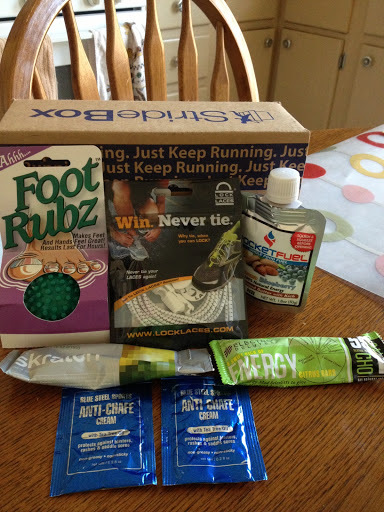 Each box is $15 and I think it is a GREAT deal because you get the chance to try some neat running products. Plus can you think of the thousands of uses for that cute box?